Buy this and your school gets £15.16 to spend on books Orders of £10 or more will earn 25% of your order value back in Scholastic Rewards for your school. 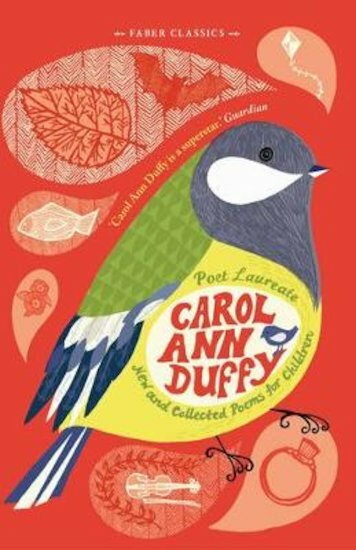 A sprinkling of magic, a dash of mystery, and lashings of good humour: that’s the recipe for a great Carol Ann Duffy poem. And it works! This brilliant writer’s down-to-earth yet lyrical style has captured the hearts of millions, and grabbed her the UK’s top job in poetry. So find out what the fuss is about! This book brings you work from four of the Poet Laureate’s award-winning collections for children, along with a generous helping of new poems bubbling with wit, charm and intelligence. Among the enchanting voices you’ll hear are those of the Loch Ness Monster’s husband, the oldest girl in the world, and (our favourite) a herd of cows going shopping!